Based on the classic Disney film, Aladdin tells the story of a street urchin who accidentally meets Princess Jasmine when she sneaks out of the palace. 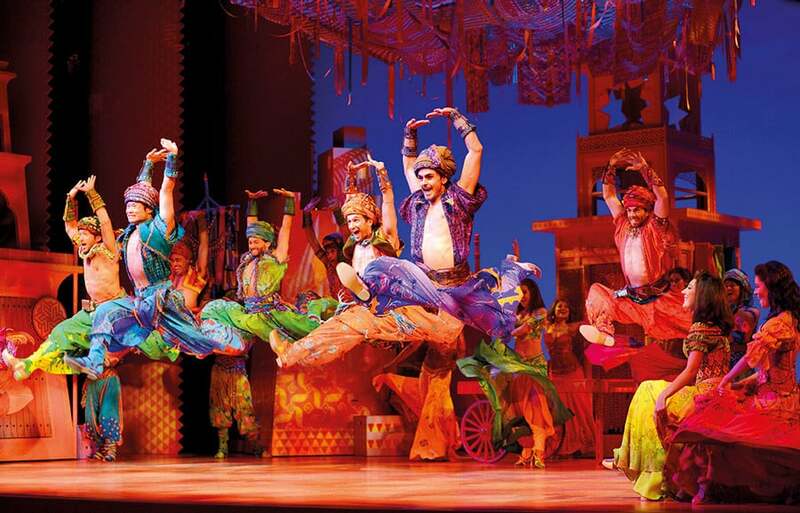 Bought to theatrical life by a legendary creative team, Disney’s new Broadway musical Aladdin will sweep you into a world filled with beauty, comedy and breathtaking spectacle. 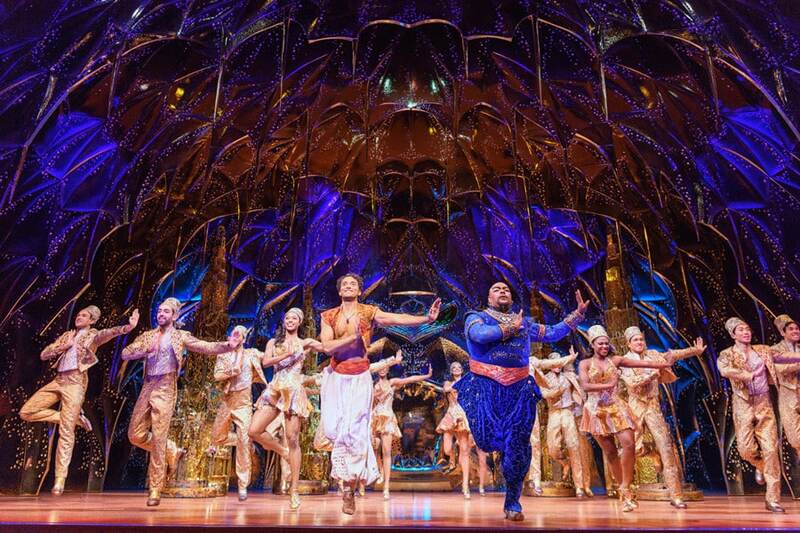 Read our review of Aladdin – Disney’s New Musical. 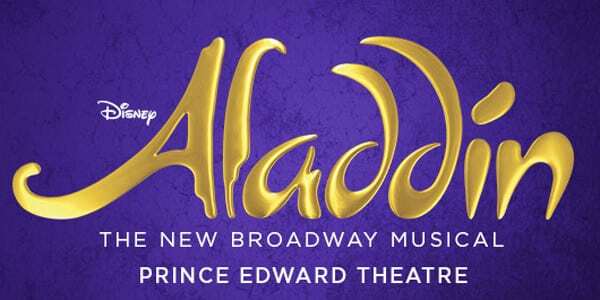 Chad Beguelin and the creative team have written new music and songs for the stage production of Aladdin. Directed and choreographed by Casey Nicholaw (The Book Of Mormon, Something Rotten) with music by Alan Menken (Beauty and the Beast, Newsies, The Hunchback Of Notre Dame), Aladdin features lyrics by Howard Ashman (Beauty And The Beast, The Little Mermaid), Tim Rice (The Lion King, Evita, Aida) and Chad Beguelin (Elf) who also wrote the book. 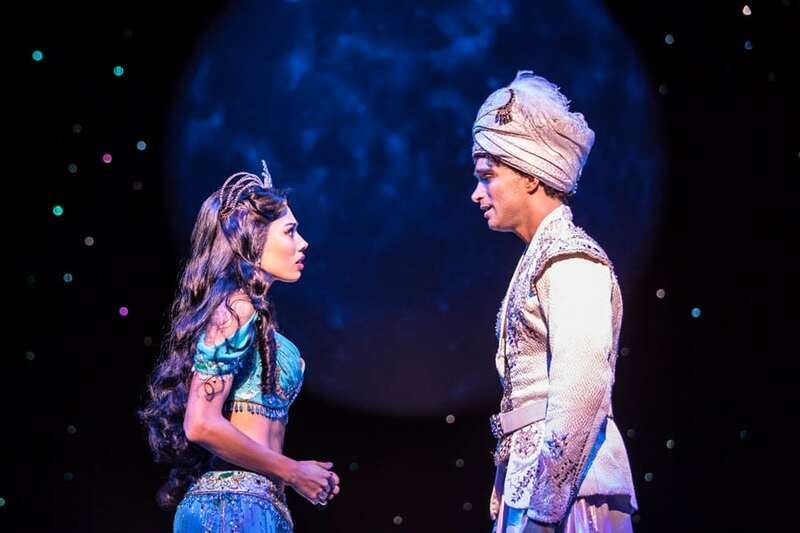 Featuring the timeless songs from the classic film including A Whole New World, Friend Like Me and Arabian Nights along with new music written for the production, Aladdin is an extraordinary theatrical event you will want to be amongst the first to experience. WHO WILL PLAY THE GENIE? 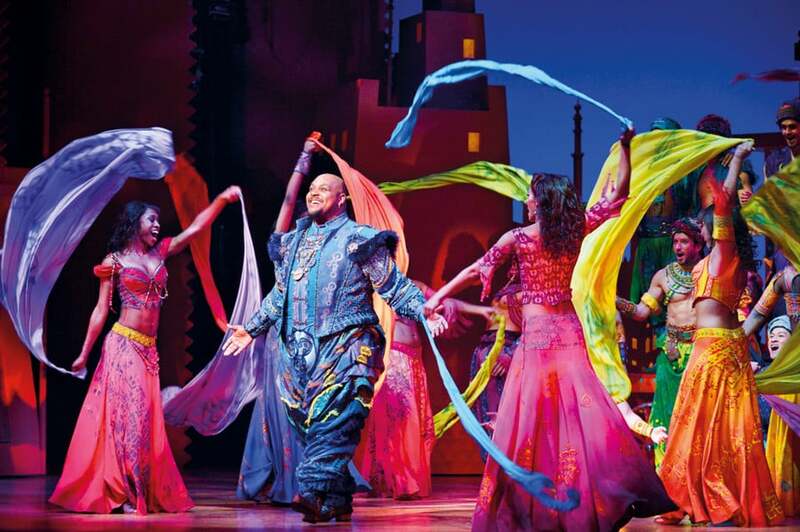 Trevor Dion Nicholas will play the Genie in the London production of Aladdin. Trevor is the current standby Genie on Broadway! Disney shows are family friendly and Aladdin is no exception. This show is suitable for viewing by the whole family. It’s not just for kids! Chanelle Jasmine Anthony, Danny Becker, Cindy Belliot, Albey Brookes, Lauren Chia, Filippo Coffano, Biana Cordice, Cavin Cornwall, Nolan Edwards, Melanie Elizabeth, Kade Ferraiolo, Antony Hewitt, Sinead Kenny, Travis Kerry, Dann Kharsa, Mitch Leow, Oliver Lidert, Richard Murphy, Kyle Seeley, Sadie-Jean Shirley, Katie Singh, Ricardo Spriggs, Joshua Steel, Monica Swayne, Kayleigh Thadani, Niko Wirachman, Damien Winchester, Jermaine Woods. 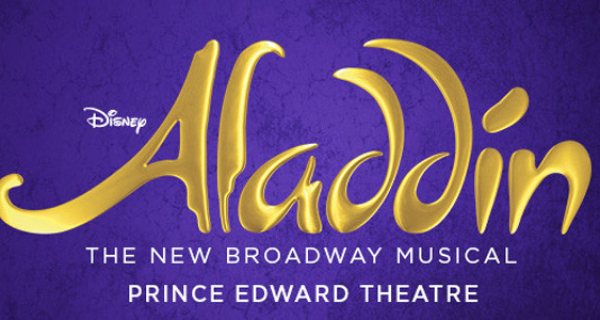 Aladdin is recommended for a general audience. 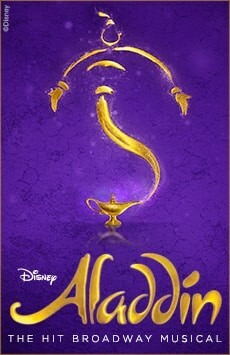 As an advisory to adults who might bring young people, Disney recommends Aladdin for ages 6 and up. Children under the age of 3 will not be admitted into the theatre. All persons aged 16 or under must be accompanied and sat next to the accompanying adult. They may not sit on their own within the auditorium. If children do have separate seats you could be refused entry. All persons entering the theatre, regardless of age, must have a ticket. This production contains theatrical smoke & fog effects, pyrotechnics, strobe lighting & loud noises. Please note there will be an auditorium blackout of 8 seconds around 45 minutes into the performance. 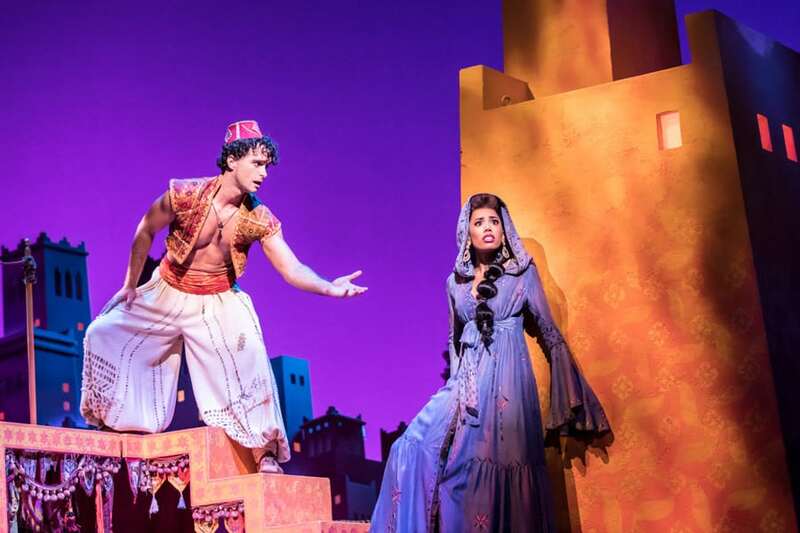 Disney’s Aladdin to undertake a Genie swap this Summer!